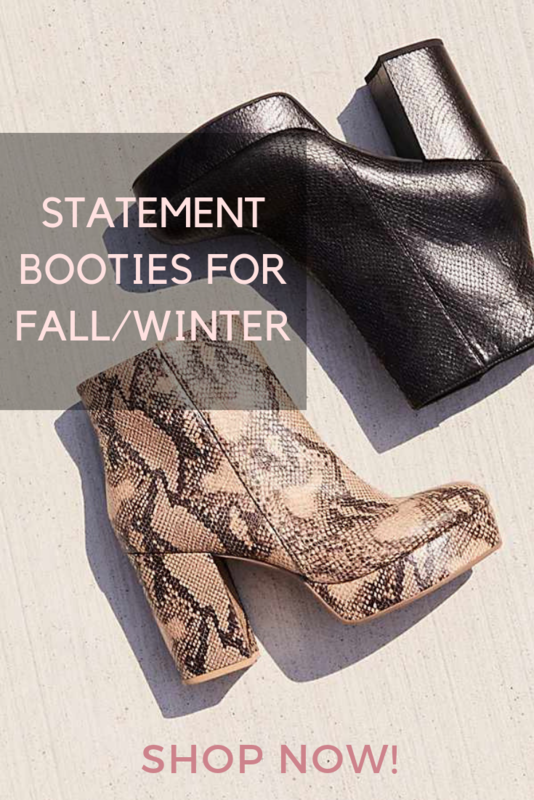 Booties are such a fun way to add some flare to your style this fall and winter. The only rule about booties is that you can never have enough pairs! I love the rocker-chic style because they pair well with black outfits. I also love the leopard booties, since this trend is so in right now there are so many great options. We also can’t forget about the snake skin trend that fashionistas brought to life during Paris Fashion Week. Check out these gorgeous snake platform boots! I love these Rebecca Minkoff leopard booties because they have a little rocker-chic aspect to them. Another style of booties I like for fall/winter is the large buckle trend. As seen first by Chloe, these style boots have become really popular! They have a western vibe to them, which I love. Another great style for fall and winter is the floral patterns. There are so many lovely color combinations that allow multiple outfits to style them with. These blue patterned boots are so lovely! Wowww!!! Absolutely stunning!!! That shoes its so pretty!! !